I recently had a discussion with another blogger on the definition of fundamentalism, and it got me wondering, what really is fundamentalism? Early in the twentieth century there was a movement to re-interpret all the traditional doctrines of the Christian faith to bring them in line with the modern world. This movement was called “modernism.” Some theologians from Princeton wrote a series of booklets called “The Fundamentals,” defending traditional Christian beliefs. The Princeton professors were not ignorant or violent. They were not opposed to science or social progress; they were traditional in their belief. They did not believe there was any essential conflict between traditional beliefs and science or progress. Fundamentalism was first a theological description. It has now become a sociological description for intolerant, violent extremists in any religion. We are painfully aware of the violence associated with Muslim fundamentalism, and there are a few fringe groups of Christian fundamentalism that are troublesome. Fundamentalism is not identical with having a holy book. There are Christians, for example, who regard the Bible as the authoritative source of their faith but who also recognize the complexity of the historical interpretation of the Bible. There are also fundamentalist forms of religions that do not rely on a single sacred text like the Bible or the Qur’an. 1. The belief that a group has exclusive and direct access to the absolute truth, whether it be in the form of a holy book, a living prophet, or an inspired tradition. There is no room for questions of interpretation, subtleties of meaning, or flexibility in application. 2. The denial of any other form of access to the truth. If reason, conscience, or experience conflict with the group’s truth, they must be suppressed. 3. A siege mentality: the belief that the group is engaged in a mortal struggle with the forces of evil, that all those outside of the group are enemies. 4. The justification of all means necessary to defeat the enemy: coercion, violence, or deception are equally valid. Photo from Northwest Frog Fest. Last week several concerned scientist went to Washington to complain about political suppression of scientific reports. Non-scientists have been re-writing reports to give a politically correct version that favors industry and development. The scientist lament “the systematic dismantling of the Endangered Species Act through the manipulation and suppression of science.” (See article in the Washington Post here). In the political debate it has been fashionable to pit jobs against the environment. I remember the scorn back in the 80s when a dam project was delayed to save a tiny fish called the “snail darter.” As it turned out, it was not environmentalism but “free-market forces” that led to American industry being dismantled, downsized, and outsourced. One presidential candidate told the voters in Michigan, “the jobs aren’t coming back.” I don’t think many laid-off auto workers are blaming the snail darter for their plight. Why should we care about tiny creatures like snail darters? If you believe in creation the answer should be obvious. They were put here by the creator for reasons known to him, and we are given a responsibility to take care of them. There is also a human reason. We’ve all heard the old stories of how coal miners used to take a canary into the mine shaft. Maybe some of the miners developed a sentimental attachment to the little birds, maybe not. But the reason they would get alarmed if the canary died was the danger it meant for them. Canaries are more sensitive to oxygen loss. If they suffer, it is a warning that the miner’s environment had become unsafe. If the canary dies, the miners are next. 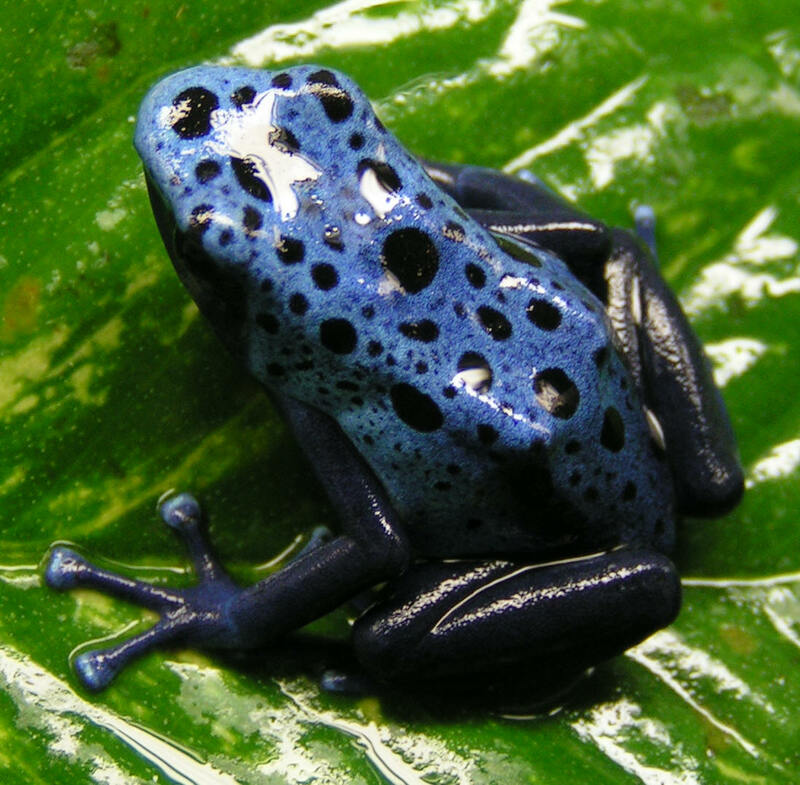 Frogs are an index to the health of the environment above ground. Some of us may be concerned about frogs because we find them interesting; others because they believe they are God’s creatures. All of us should be concerned because they are a warning that we are next. Tabitha enlightened me about the importance of frogs a couple of years ago in an article she wrote for Mother Earth News (here). The more I think about it, you can’t blame our president for the epidemic of obesity among young people. He is a good role model for physical fitness. 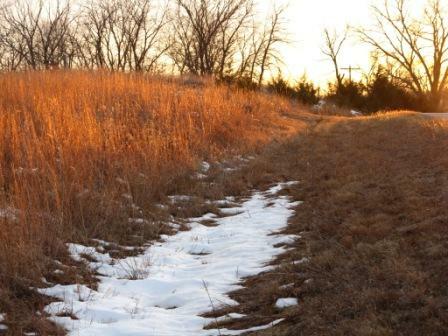 The president jogs, rides his mountain bike regularly, and clears brush at his Crawford ranch. Anyone who rides a mountain bike is alright, in my book. The article also said the president’s fitness level as rated as being in the top 1% of men in his age group. (USA Today 8/13/2005 here). My colleague the “Vagabond Professor” has been saying there are three answers to all the problems in the world: global warming, Arab oil, and George Bush. I’m not sure, but I think maybe he is being ironic–he does have a satirical streak. Maybe he is saying those wacky liberals blame everything on one of those three things. And maybe he’s right. Maybe there are some problems our president and our carbon-based economy did not cause. Still, it strikes me as interesting that all three issues came together today, when our president went to Saudi Arabia to meet with the royalty there. I didn’t hear any reports that he asked them to stop flogging women who report crimes of violence against them, or in general asked them to open their society to democratic ideals. But then, I suppose such discussions are best conducted in private and not paraded in the press. The press did report that he asked them to produce more oil. Didn’t our president tell us a year or so ago that we are addicted to foreign oil? Is it just me, or do is strike anyone else as unseemly to send our president oversees with his hat in his hand, begging our supplier to go easy on us? The war on terror is the first war in which our leaders have not asked the citizens to make a sacrifice. In world war II, children donated their rubber duckies, raincoats, and boots to the war effort. But we have been encouraged to keep driving our gas guzzlers to the shopping malls. I understand the Saudi oil minister said, “we will increase supplies when the market warrants it.” What does that mean? A cartel is pretending to let the free market determine its policies? When oil reaches $200.00 per barrel, will the market have spoken? When Rosa Parks was arrested for refusing to give up her seat to a white man–the transit authorities in southern cities knew African Americans were dependent on the bus system. They had no choice–what were they going to do, walk? There is a fourth problem facing our nation: obesity. If we would begin walking all trips of less than a mile, we would improve our health, decrease our dependence on foreign oil, reduce our carbon output, and spare our president of humiliating groveling before the oil ministers of OPEC. I had my first bike ride of the year today. This is the first year in about ten that I have missed my traditional New Year’s Day ride. I’m not sure why, lethargy, I guess. Over the past years, even if there was snow on the ground, I at least made it for one ride around the block. But now that I’m back in the saddle, I will try to keep up with it. I’ve found that the thing about fitness is, you can’t stand still. You are always either gaining or losing. After 39 years the Jayhawks finally won the Orange Bowl trophy. They didn’t have to use a 6-3-3 defence last night. Aqib Talib scored the first touch down by running back an intercepted pass. He displayed a little excessive exuberance “high-stepping” across the goal line, for which a penalty was added to the kick-off that followed. Fortunately for Aqib, the penalty was not fatal for his team, as the infamous “twelfth man” on the field was back on New Year’s day, 1969. Twice in the last century the Jayhawks made the trip to Miami and came up empty, but in this new millennium they are undefeated in Orange Bowl appearances. After the penalty, the TV camera zoomed in on coach Mangino advising Talib on the etiquette of celebrating after a touchdown. Sure enough, behind a svelte looking Mangino (he’s been working out with the team) was our Claudia on national TV enjoying her 5-and-a-half seconds of fame. The Hoakies of West Virginia fought valiantly. Their remarkable season gave pride and hope to their community after last years’ tragic mass murder on campus. I think there is some other game Monday, but as far as I’m concerned, the season is over and the national championship has been decided. I have mixed feelings about the importance of sports. Sometimes I think our priorities are all wrong and it’s a form of idolatry. Other times I think it is an outlet for some primal aggressive, tribal tendencies; and so offers a substitute for war. Other times I think it does display character values such as discipline, cooperation, and heroism. Anyway, I thoroughly enjoyed the game last night. One of the highpoints for me of the campaign thus far came in a Republican debate where both Mike Huckabee and John McCain defended the humanity of undocumented people in the midst of an extended attack on “illegal aliens” by other candidates. In the face of some of the most heated rhetoric, John McCain asked his colleagues to remember that the people they were all talking about were “also the children of God.” And in defending his inclusion of the children of the undocumented in his state’s scholarship programs, Mike Huckabee stood his ground and said the U.S. was not the kind of country that punished children for the mistakes of their parents. Both have been willing to challenge their party on other issues too – McCain supports both comprehensive immigration and campaign finance reform; and Huckabee was recently accused of being a “Christian socialist” by a leading economic conservative because of how he spent money on poor people in Arkansas. One political commentator on the Republican side told me he thought McCain and Huckabee have been rising in the polls because of the “character” they have shown in these debates (God’s Politics). In the 60s and 70s Francis Schaeffer convinced many evangelicals that art, history, philosophy, music, literature, and politics are important. He had a unique ministry in Switzerland, a place called L’Abri (French for The Shelter). He opened his home to hippies and dropouts, intellectuals, Marxists, and atheists and joined them in deep conversations about the meaning of life. Time magazine once called him an “apostle to the intellectuals” (more here). He often spoke about the need for integrity, about the unity of truth and life, about the importance of living love and truth. Like many Christians, Francis and Edith Schaeffer may have found it easier to demonstrate Christian love to strangers than in their own family. Their son Frank saw their failings up close. Like many children, he may have been blind to some of the qualities that so many others admired. No one can write an objective unbiased memoir of intimate family matters. By the late ’60s, according to Frank, L’Abri had loosened up. Edith enjoyed her newfound social status, and Francis sympathized with the American youth movement and countercultural search for meaning. Timothy Leary stopped by, and so did one of Joan Baez’s best friends. Mick and Keith planned to come but never made it. Francis was in favor of the environmental movement, and L’Abri welcomed gays and unwed mothers without prejudice. While often cruel to one another, the Schaeffers seem to have been kind to outsiders (more here). 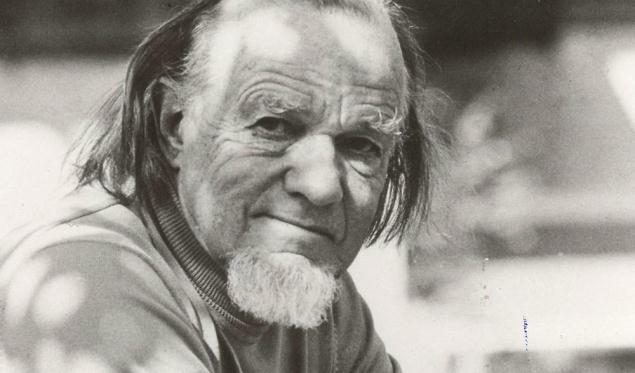 Francis Schaeffer’s life and thought are a mixture of what is right and what is wrong with evangelical Christianity. His writings influenced me in a positive way. His personal failings (allowing for his son’s bias) sadden me, but don’t completely surprise me. I haven’t yet found a role model who has outgrown the need for grace.